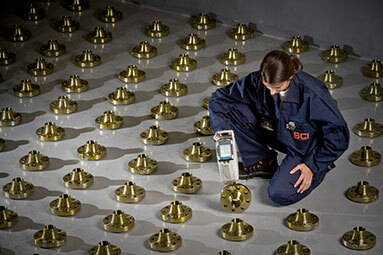 Specialist equipment enables SCI to measure the thickness of coatings applied to various materials (regardless of whether they are ferrous or non-ferrous). Thermography enables the temperature of a particular object to be determined without any kind of direct physical contact with the object. 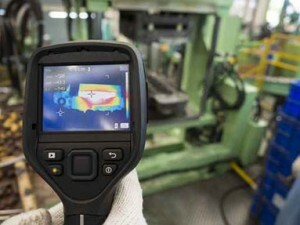 The various uses of thermography include: searching for leaks, identifying both missing insulation and faulty electrical contacts, etc. The particular composition of a material can be determined by X-ray fluorescent beams and SCI has portable equipment to determine a material’s chemical composition quickly and without special surface preparations. SCI has teams that use Borescopes andVideoendoscopes for visual/optical inspections of areas which cannot be viewed by the human eye. The Borescope is a kind of rod with a thin, elongated shape. During an examination it employs several lenses as part of a telescopic system. The Videoendoscope is a flexible cable, of different lengths, with a camera at its tip. 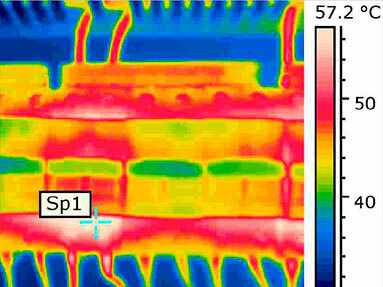 It enables an internal visual examination of components and at the same time records the images. 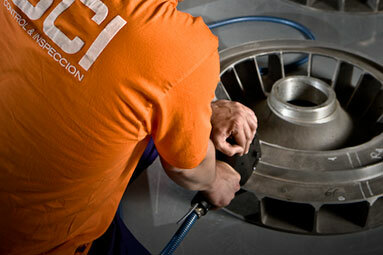 These inspection techniques are used to analyze individual components without dismantling systems and allowing the images so obtained to be recorded and viewed later.